Minot Air Force Base in North Dakota is fully operational, despite an arctic blast that gripped much of the American Midwest and northeast this week. Located about an hour south of the U.S.-Canada border, the base was a chilly 14 degrees below zero on Wednesday with minus 28 degree wind chills. In a series of tweets on Wednesday, the base showed how it’s functioning normally while the brutally cold weather caused commercial flight delays, school cancellations and several deaths. “Airmen reported to work at normal times and the base is fully operational,” Staff Sgt. B. Eli Smith told ABC News. A U.S. Air Force B-52 bomber sits on the runway at Minot Air Force Base in North Dakota during a cold snap in January 2019. «To operate in conditions like this, we have to be prepared with plans and equipment that allow the mission to continue as usual. Engine heaters for the aircraft for example, or detailed route plans to minimize time outdoors when moving around base, just to name a few,» he added. The Air Force issues guidance for how airmen should properly incorporate jackets, fleeces and parkas as part of the uniform, but Smith stressed that safety of personnel is a top priority. 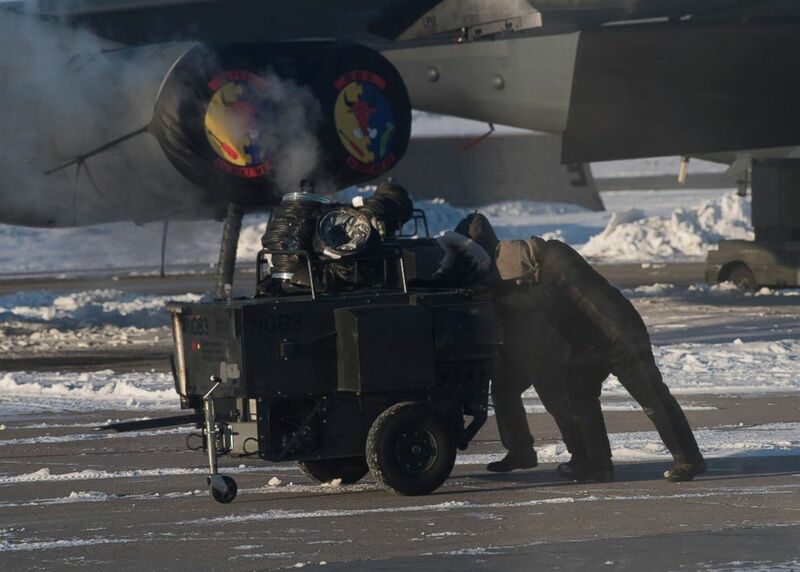 Airmen use engine heaters at Minot Air Force Base in North Dakota, which experienced minus 14 degree Fahrenheit temperatures on Jan. 30, 2019 with even colder wind chills. 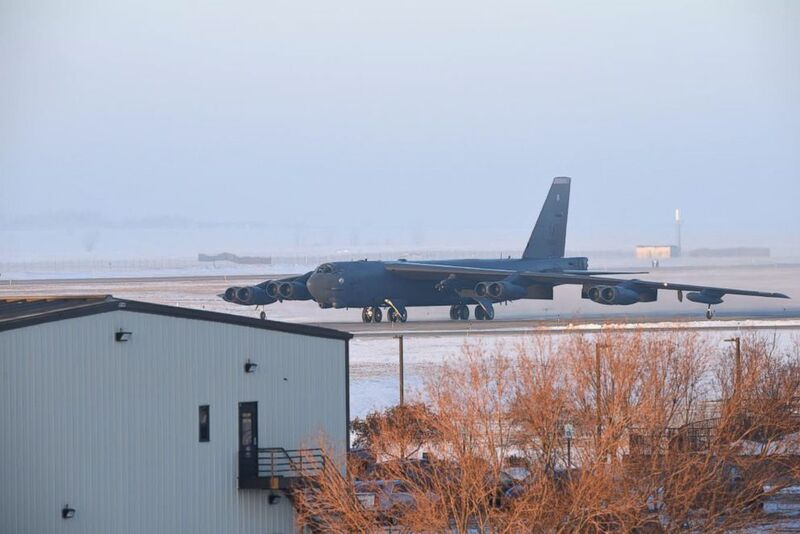 Average winter overnight lows regularly hover around 0 degrees Fahrenheit at Minot — which is one of two continental U.S. Air Force bases that hosts B-52 Stratofortress bombers. And they’re not the only base that faces frigid winter temperatures. Airmen at Eielson Air Force Base near Fairbanks, Alaska are also accustomed to operating regularly in negative temperatures. The average high in January is only 2 degrees below zero, but on Wednesday the temperature at Eielson was a balmy 12 degrees.